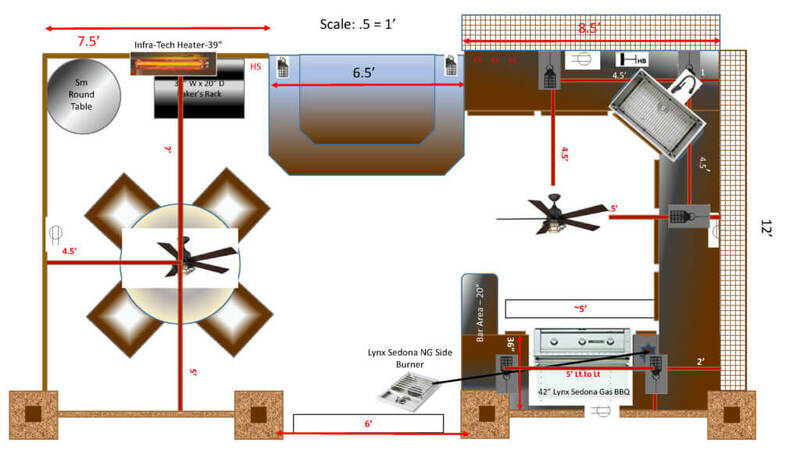 How do you plan an Outdoor Kitchen for two, but also accommodate gatherings of 20, all while including functional storage? A couple from Colorado reached out to Werever in 2017 to help them accomplish exactly this. A little more than a year later, they are still very happy with the outcome. 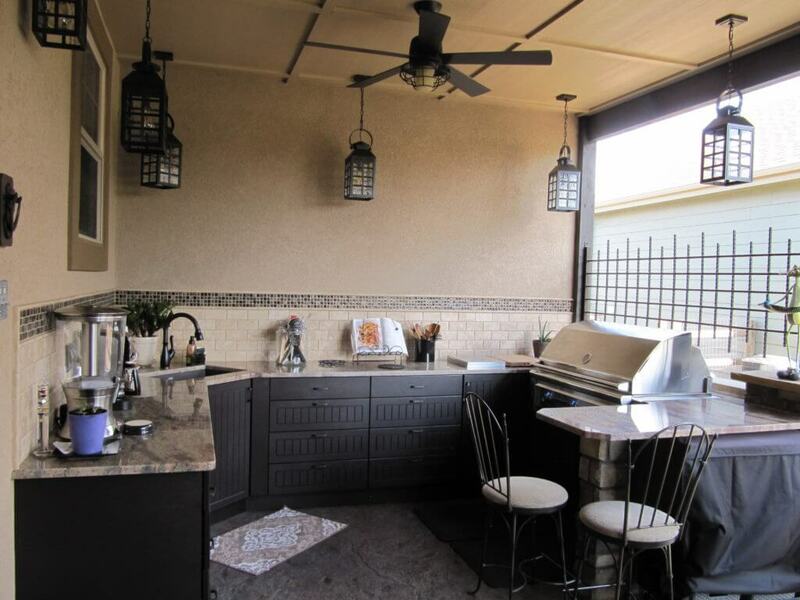 The homeowners are regularly enjoying their covered side patio equipped with their very functional outdoor kitchen. At the beginning of the design process, the homeowner stated on a regular basis they would prepare full meals for two. However, when they entertain, they entertain 20 or more. It was important for them to have a grill and side burner that would allow for full meal prep. Lynx Grills was the solution. A 42 Inch Sedona Series Grill would allow the surface area for larger meals. This same grill also has independently controlled burners, allowing for use of only one burner if needed for the couple alone. A sink was also important in their Outdoor Kitchen, for food prep and clean-up. Additionally, a pull-out trash cabinet was planned for easy access and concealed garbage. Door cabinets below the Sink and Grill, along with a blind corner cabinet, provided some door storage for the few oversized items that may not fit in drawers. What Will You Store in Your Outdoor Kitchen? Most important to this customer in their Outdoor Kitchen was drawer storage. 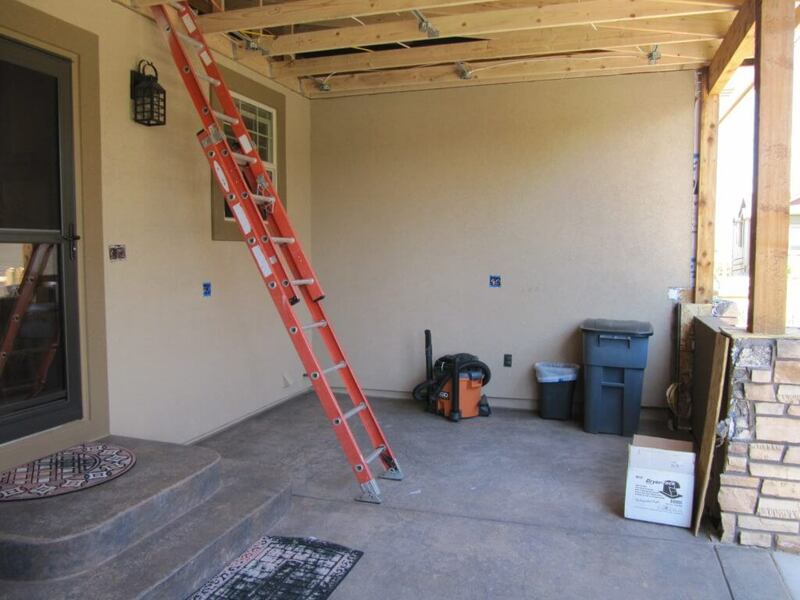 They wanted to be able to store pans and cookware, utensils, and other general household items with easy access. For this reason, we planned mostly wide, four-drawer cabinets. For some customers, larger door cabinets are ideal for oversized pots and other large items. However, with careful consideration of the sizes of the customer’s kitchenware, we confirmed Werever’s 4-Drawer Cabinets would be ideal. The hardware-free drawer slides provide peace of mind, and a long lasting storage solution. How is Your Outdoor Kitchen Serving You? 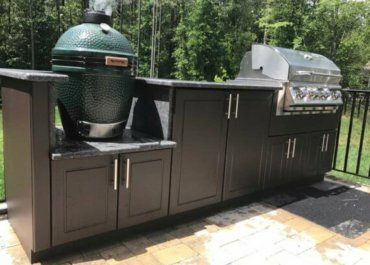 If you have special storage needs for your Outdoor Kitchen, Werever is here to help. 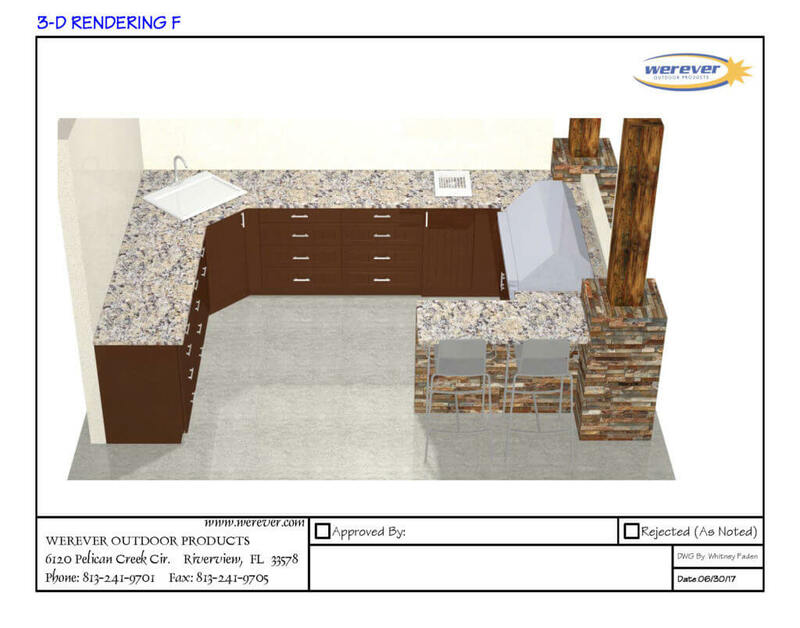 Contact Werever Outdoor Cabinetry and take advantage of our complimentary design service.